Protopasta already do an "aromatic coffee" filament, which apparently releases its scent when heated. That picture looks like a stack of poker chips. 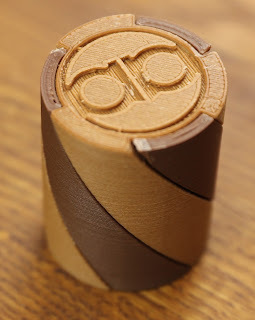 Have you thought of doing an A&A poker chip set? He's right - good for the cruise?